The Sun NXT is a part of the Sun TV Network Limited. 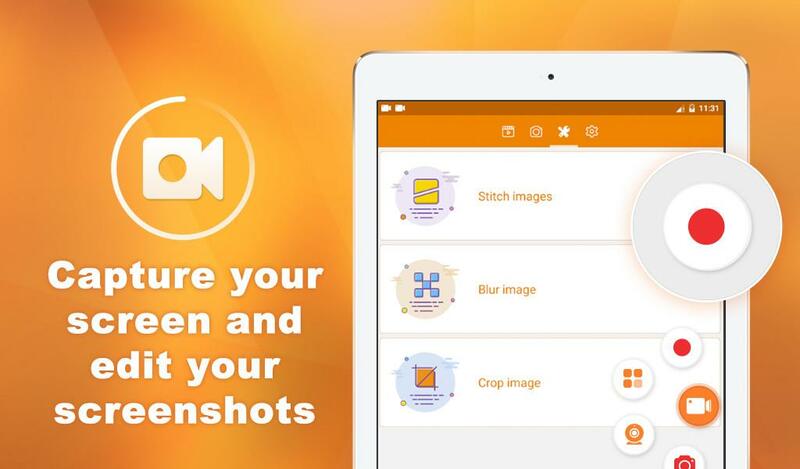 Basically, it is an online video streaming platform that is available in the form of Sun NXT app for Android (Google Play Store) and iPhone/iOS (Apple App store). Apart from the Sun NXT app, once can also access it on PC browser via www.sunnxt.com. Furthermore, the Sun NXT can be accessed on Smart TV and streaming devices like Amazon Fire TV, Google Chromecast, Apple TV etc. This SUN TV’s online streaming platform provides a huge wide range of TV content, Live TV, Movies, Kids content, music and more in four South Indian languages i.e Tamil, Telugu, Kannada & Malayalam. Also, this Over The Top (OTT) audio/video app has a beautiful interface and easy to use navigations plus low-cost subscription model. Sun NXT features Kollywood, Tollywood, Mollywood and Sandalwood. 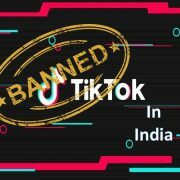 It offers around 40 live channels, varieties of Comedy, TV shows and movies plus the NEWS channels are about to include too. 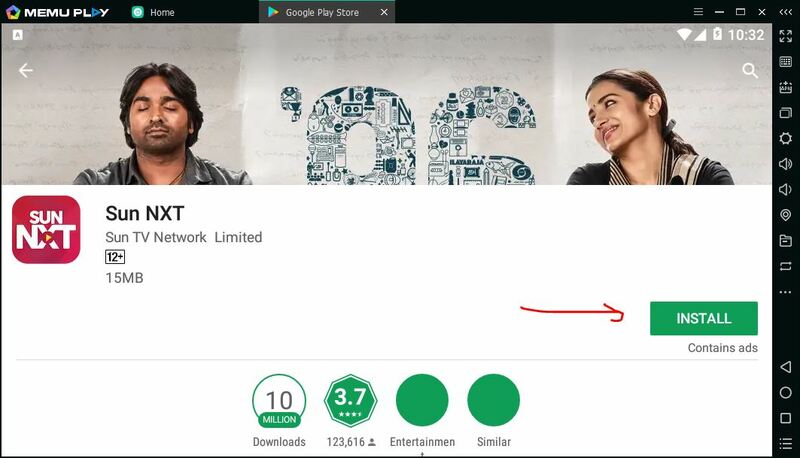 To download the VOD app for Android. You can also use this link: Android app for Sun NXT. The iPhone or iOS users can also search for this app in their Apple App store. Here is the link to iTunes to download the SunNXT for Apple devices. 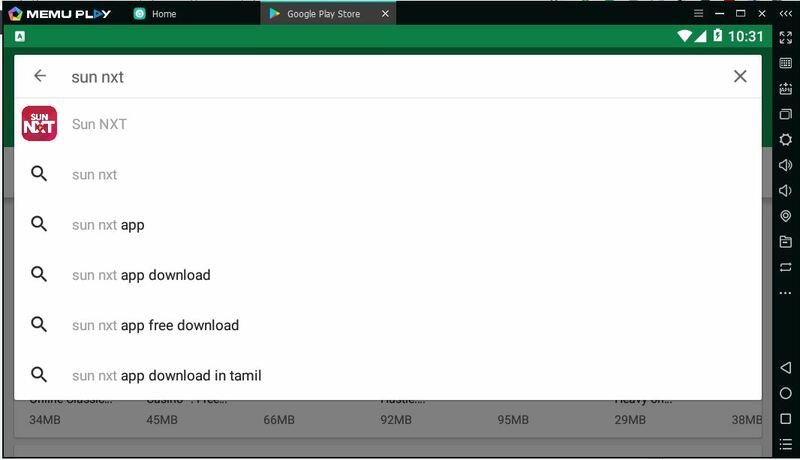 However, if you don’t want to get it from the Google Play store then he/she can use free download Sun NXT apk from different online websites like Aptoide or APKMirror (link). 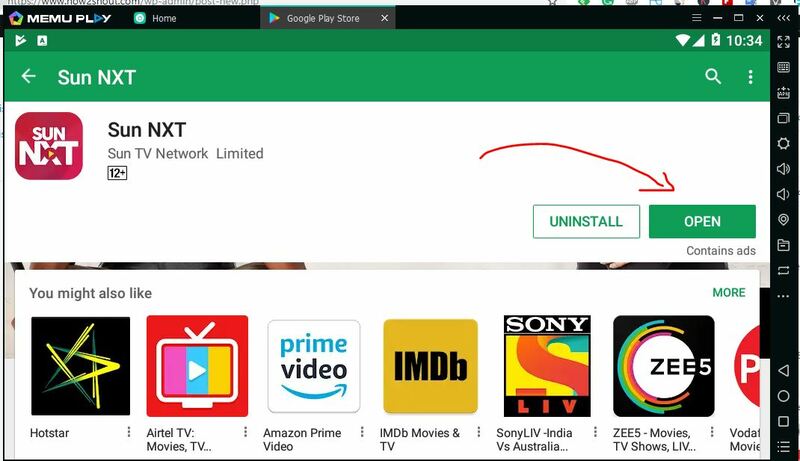 After downloading the app its time to install Sun Nxt. The process of its setup is the same for all platforms such as Android, iOS, Smar TV, or Web browser. 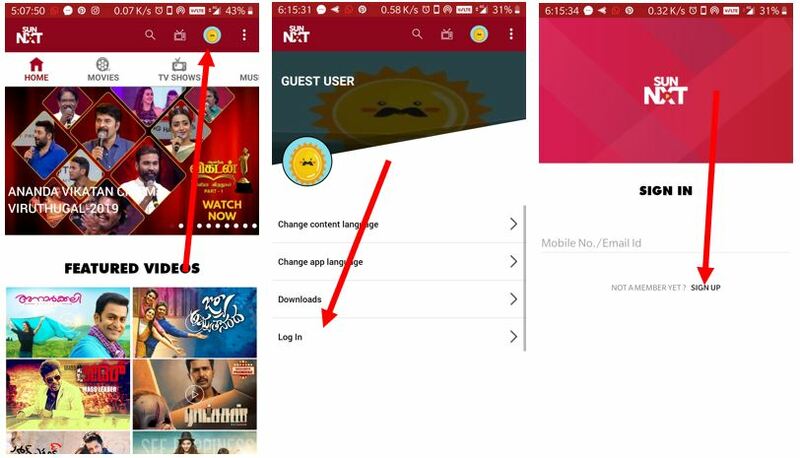 Step 2: The app is available in four languages, you can select the one you want such as Sun NXT Telugu, Malayalam, Kannada, Tamil or Bengali. Or one can select all of them too. Step 3: After opening the app, tap on the Guest icon given on the top of the screen. 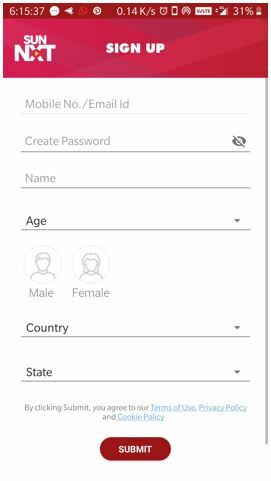 Then tap on the Sun nxt login option and after that select the Sign-up option. 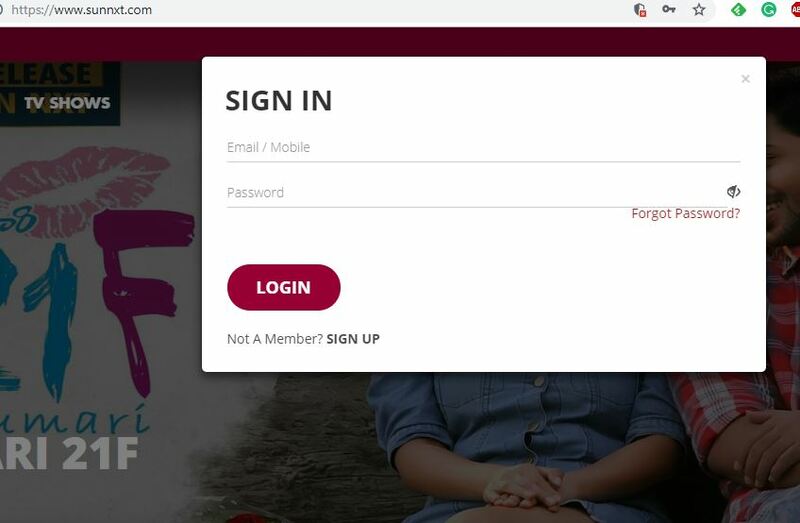 Step 4: Now the Sign up form will appear. Fill up the details and tap on the submit button. This will successfully set up the Sun NXT app. 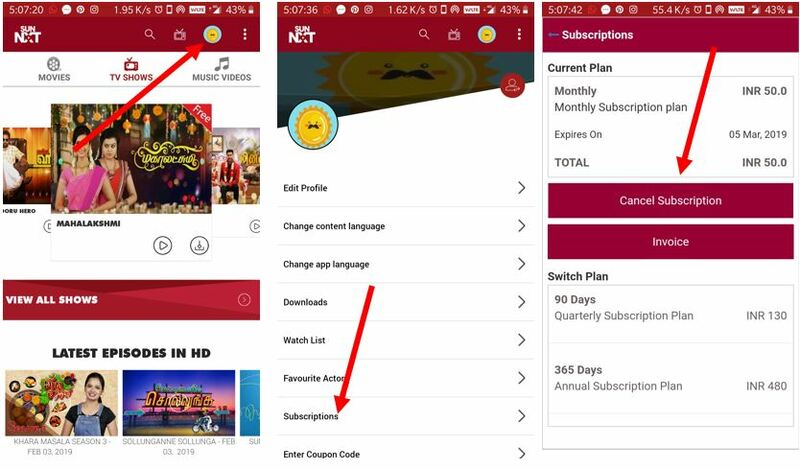 How to subscribe to the Sun NXT subscription. 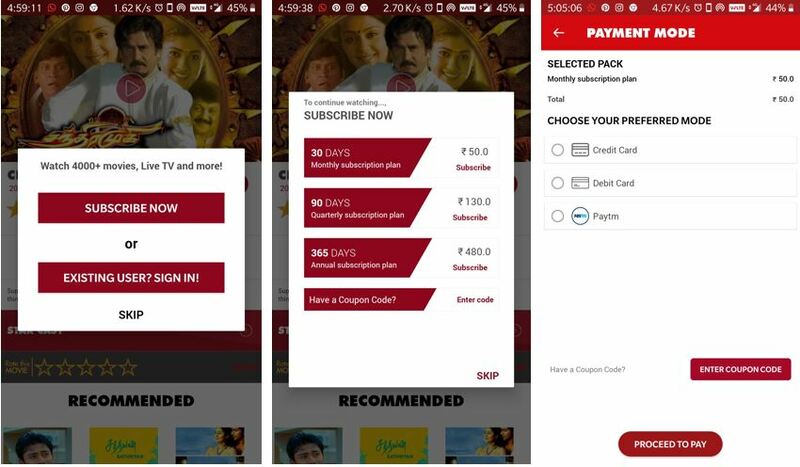 The app features more than 4000 movies and to see any of them, first, you need to opt its subscription. So, for that just tap on any movie to play. When we do that a pop-up will appear with two options Subscribe now or Existing User. Tap on the Subscribe Now button which will further open the list of the available plans. Select the one which seems good to you and then choose the payment mode. That’s it. In this way, we can subscribe the SunNXT. 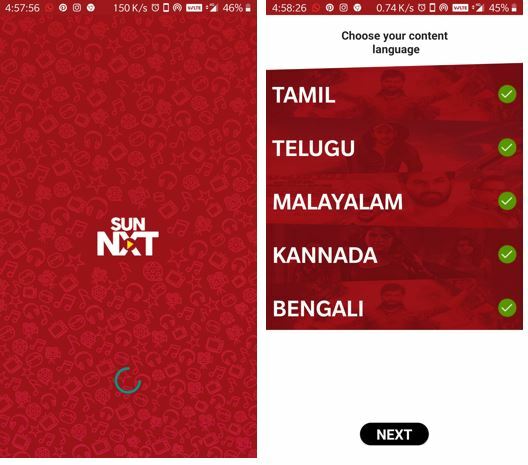 In case after some time you want to cancel the subscription of the Sun NXT app. Then Simply click on the Guest icon. Tap on the Subscription option. Tap on the Cancel subscription button. As soon as you tap on it, it will get discontinued or cancelled. There are two ways to use the Sun NXT on PC. Either using the web browser or downloading some android emulator to install its app for PC. There no app for this available for PC, officially on website or FileHippo like third-party sites. As soon as you enter the above address, the website will open. Now click on the profile icon given on the right top side. And if you have already account as we have created above, use that to log in. Otherwise, the new users can sign up and create a new account directly from the PC. In this way, one can watch it without the download of sun nxt for PC. 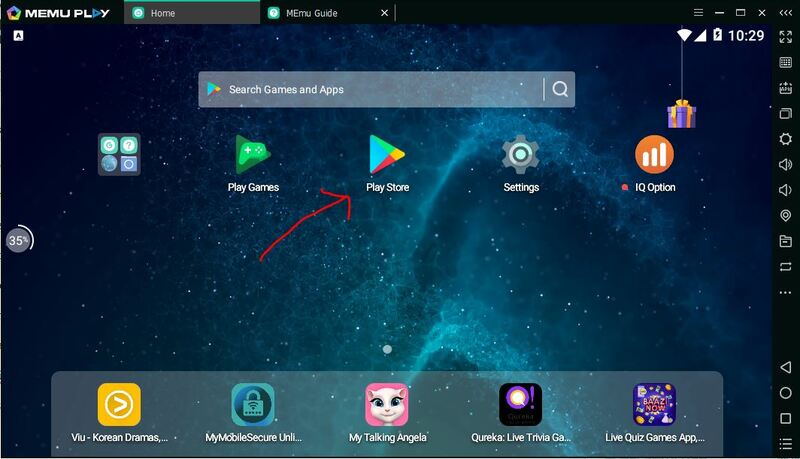 Here we are using the MeMu for Windows 10 PC, however, the procedure will be the same for BlueStacks or other Android Emulators. Download the Memu Android emulator. Launch the MEme on your Windows PC. It will automatically ask you to sign into the Google account using Gmail ID. 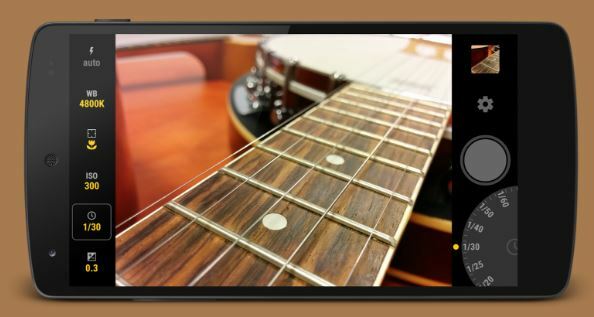 Now search for Sun NXT app after the setup of the Play store on the Emulator. When the app appears, click on the Install button. With this action, the Sun NXT app download for PC. 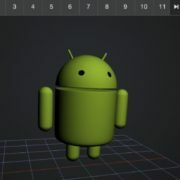 In a few minutes, the apps will get installed on the Android PC emulator. Now follow the same procedure as we follow up above to log in the app in a smartphone. In this way, we can enjoy the Sun NXT Telugu movies on PC as well as a smartphone.